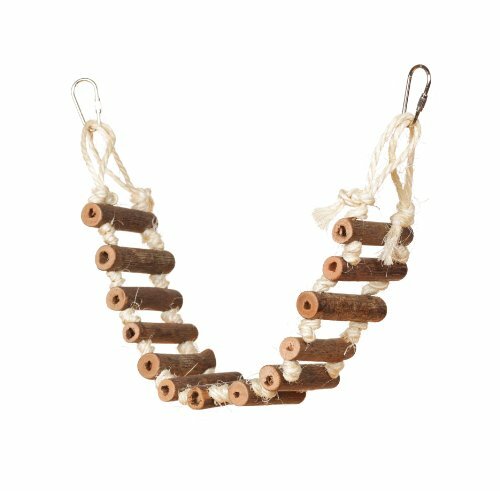 Spiffy Bird Products And Supplies That’ll Make Your Feathered Friends Sing With Joy! 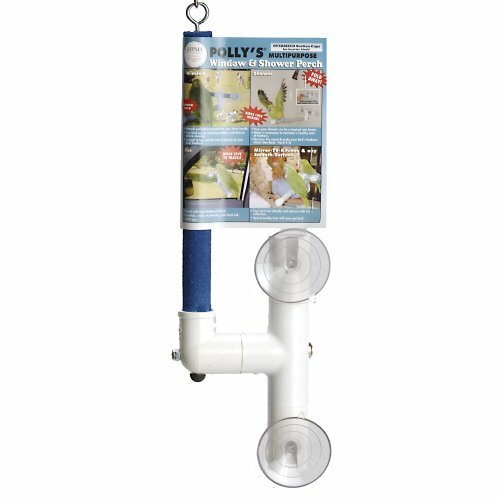 When it comes to spiffy pet bird products safety always comes first! 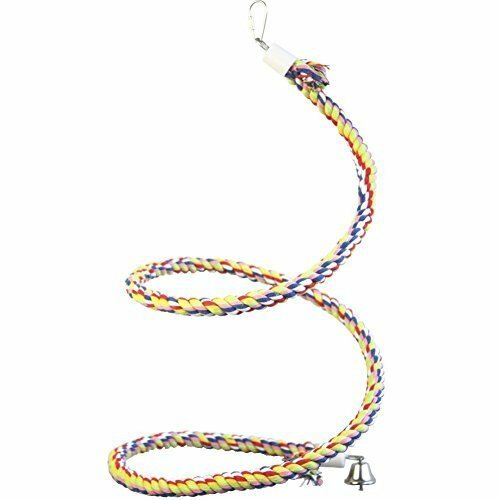 Whether you have a parakeet, a conure or macaw you know that these feathered beauties are into everything and dangers are lurking in many unexpected places. 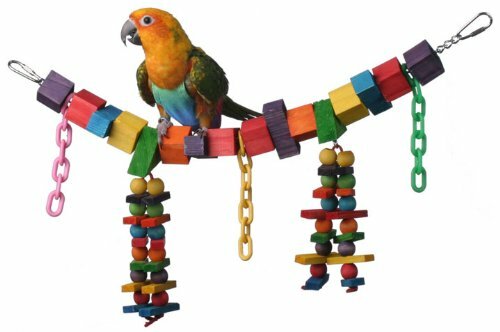 You need to feel secure that the cages, toys and foods you give to your pet bird are as safe as they are comfortable or entertaining. Being bird people ourselves we totally get that. And don’t forget to follow us on Pinterest so you never miss a great pet idea. 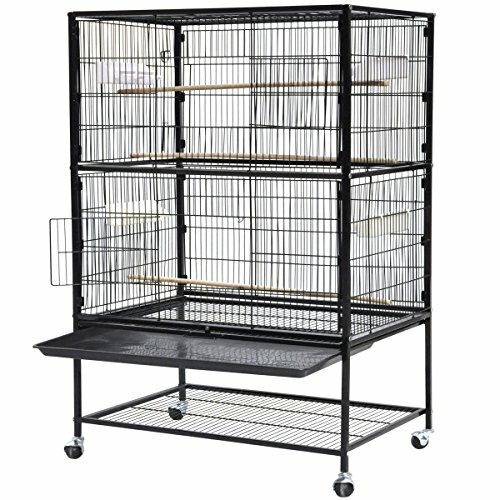 Bird cages come in a bewildering variety of shapes, sizes and styles. 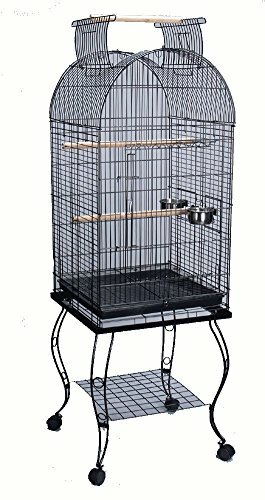 Finding the right bird cage for your feathered friends is a must if you want them to be as happy and healthy as can possible. 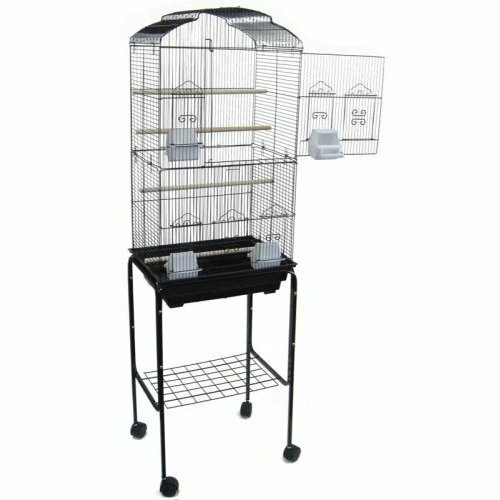 Keeping in mind that different types of birds have different requirements to thrive in their bird cage, we’ve gathered a selection of large bird cages, free flight cages and hanging cages for you to peruse. 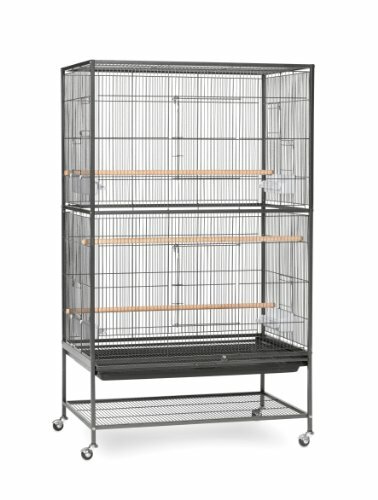 Something else to keep in mind is that even if you have medium pet parrots, getting a larger cage (so long as they can’t fit through the bars, ect) isn’t a bad idea, it’ll give them more room to flap around and give you more room to fit in toys. Also, if you have a bonded pair that you need to keep together, having the extra space is always good. 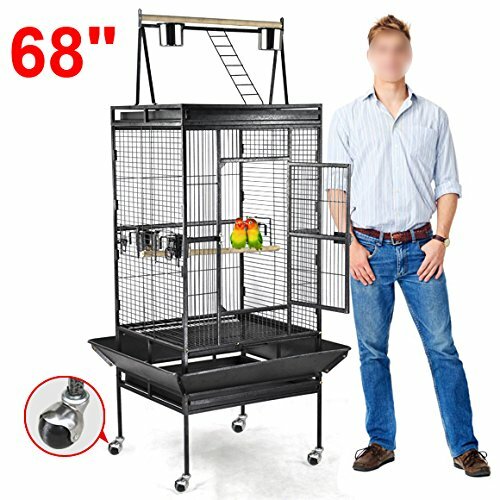 Important Note: while having the right sized cage is important so that when your birds are sleeping or when you’re at work, they’ll be comfy, it’s really, really imperative to remember that if you have a parrot it doesn’t matter what super pet bird cage you’ve gotten, they need to be out and about with you most of the time. 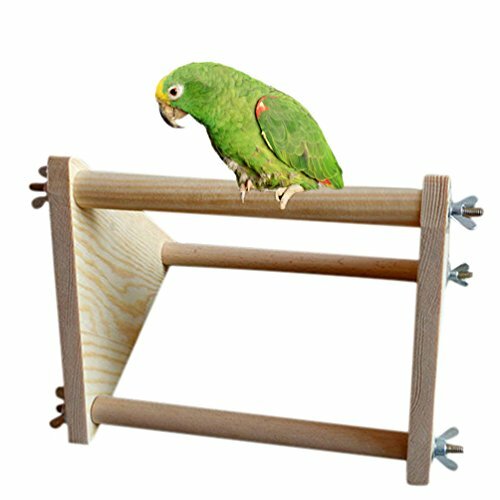 Parrots are smart and need room to roam and exercise outside of their cage too! 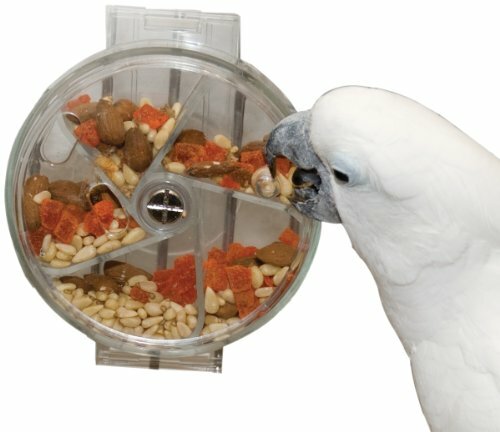 We have some cool bird room ideas that you guys can look at, just in case you don’t already have a space setup for your parrot. 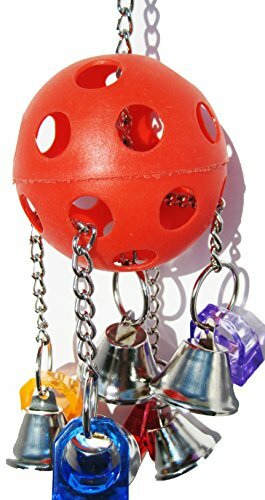 If you want some ideas for things you can do with some of these wonderful cages, especially the ones for songbirds like zebra finches, go over and look at these zebra finch cage ideas! 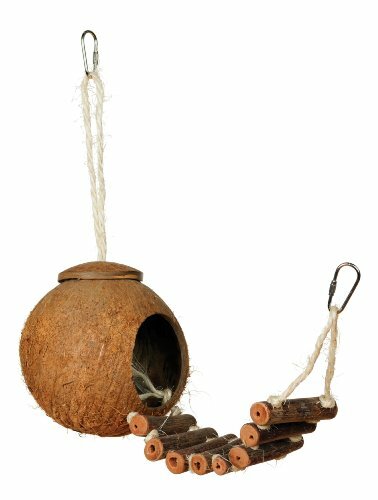 Bird toys are essential to the health and well being of your pet bird. 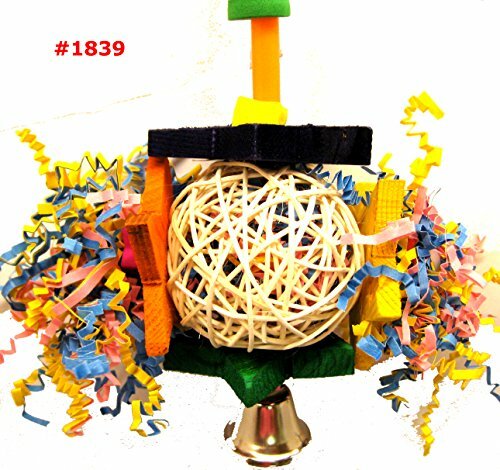 Keeping them mentally stimulated and active keeps them out of trouble (saving your furnishings) as well as helping to prevent feather plucking and other destructive behaviors. 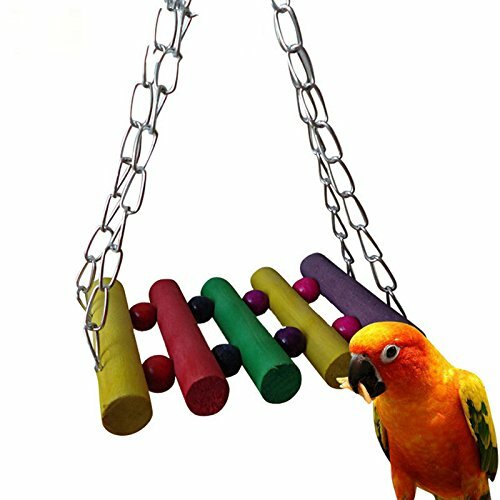 See ALL the bird toys with free shipping on Amazon right here. 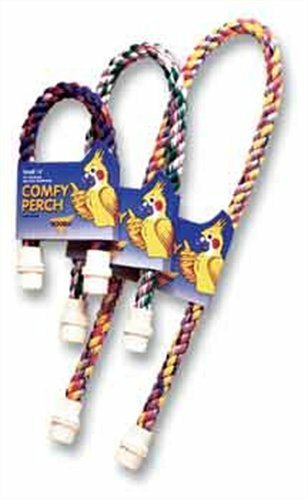 There are also bird nets to consider, they are sort of like a toy-perch hybrid, wonderful to chew and play with! 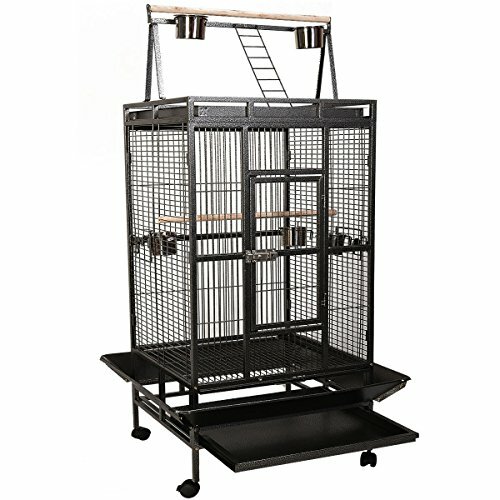 Just like the aronico parrot climbing net, andif you want ideas for where to put your new aronico parrot climbing net and all this other stuff, check out our bird room ideas! 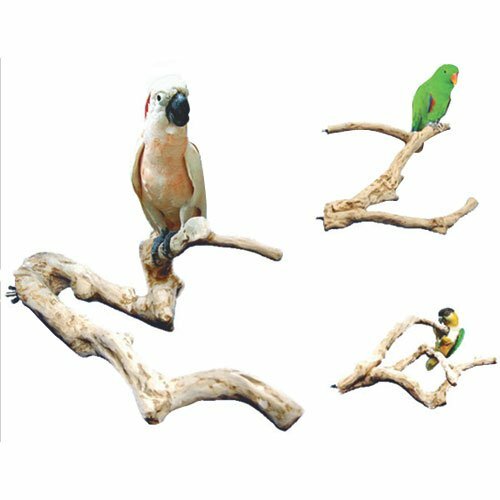 Bird perches, like most bird products, come in a great variety of shapes and sizes. 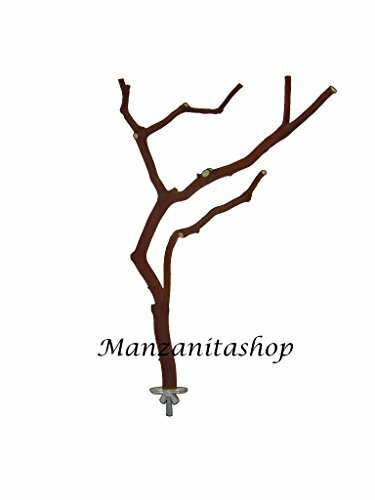 You can find everything from plain dowels to natural wood such as grape vines used to make them. 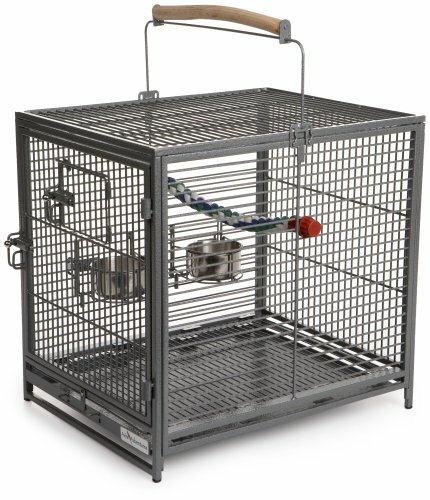 Some fasten to your birds cage and others are worked into table top play stands. 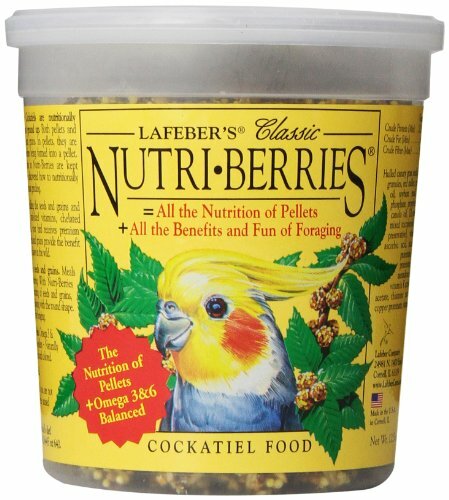 It’s important to supply your pet birds with an assortment of different perches so their feet stay healthy and strong!They can also be a huge help when it comes to nail trimming time, if you look at these pedi perch birds perches, you’ll see that they have a sort of rougher texture designed to wear down your birds sharp little nails. There are also some featured just below. It’s worth noting that while some birds are accepting and even love these pedi perches, others really don’t like them at all. 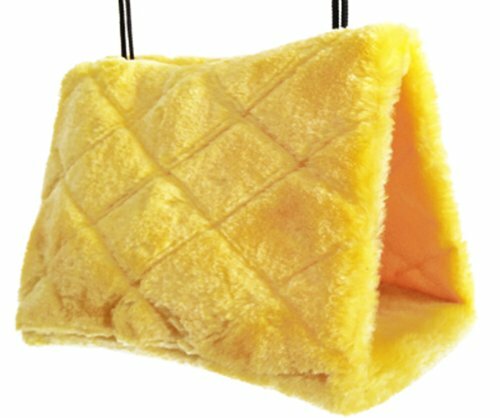 So, get one to test it out before going all out and decking your house in them. 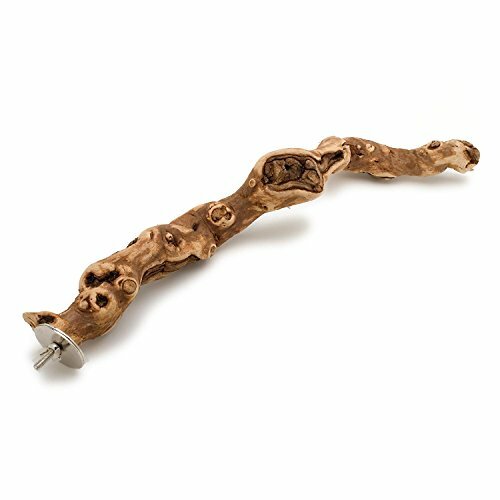 Pet Bird Products: Booda Comfy Perch for Birds, Medium 32-Inch, Colors Vary Pet Bird Products: Large Manzanita Bird Perch (11 Pet Bird Products: Living World Pedi-Perch – Medium (Color may vary) Pet Bird Products: Mac’s Natural Wood Large Grapevine Perch for Birds Pet Bird Products: Prevue Pet Products BPV1008 Natural Seashell Beachwalk Bird Perch, Large, Colors Vary Pet Bird Products: Vpets Bird Creations Diameter 0.47 inches By Length 45.67 inches Rope Bungee Bird Toy Pet Bird Products: Polly’s Sandy Window and Shower Bird Perch, Small Pet Bird Products: Wooden Perch For Bird Parrot Macaw African Greys Budgies Parakeet Cockatiel Cockatoo Conure Lovebird Table Training Perch Stand Toy Pet Bird Products: Java Wood Multi Branch Perch – Small – 16 in. x 1.2 in. 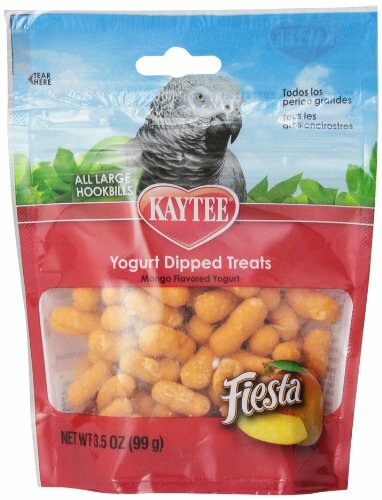 Ok, bird treats are just plain fun. 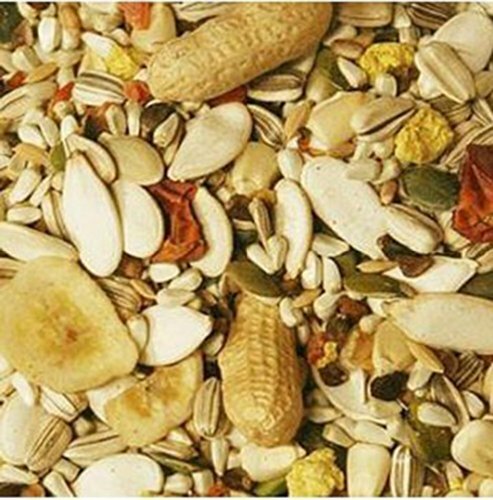 Whether you’re hiding them for foraging fun, using them as training aids or just spoiling your pet bird rotten we’ve got just the super yummy bird treats you’re looking for. 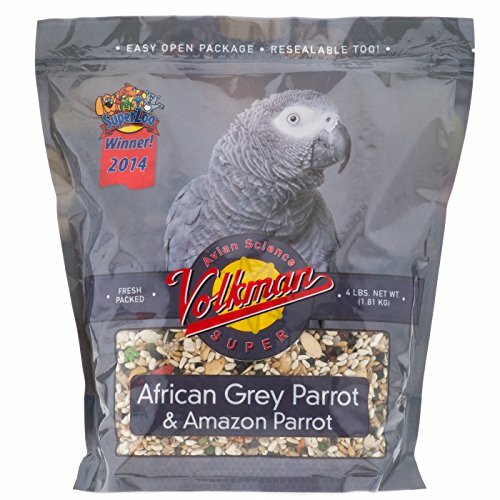 Pro Tip: while it’s really fun to spoil your bird, please remember that most of these things are like the birdie equivalent to popcorn or potato chips for us! So, delicious but remember to use them in moderation! 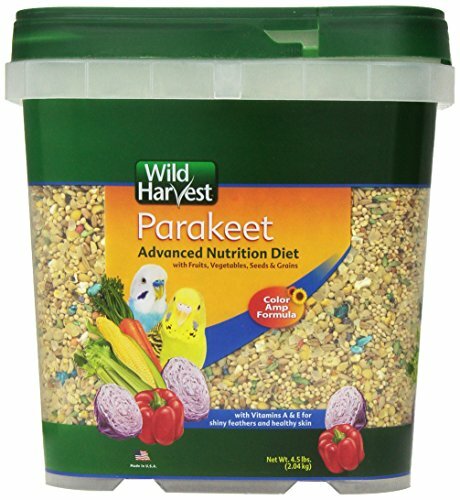 Whether you’re just picking up your old usual food for your eclectus or you’re getting ready for your new parrot with some sweet conure supplies, let us help you find the right kind of bird food for your beaky friends. 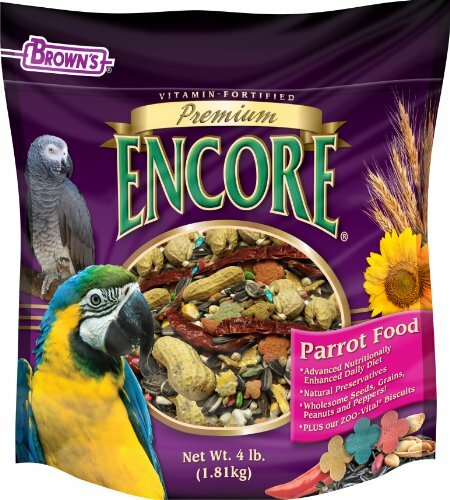 There’s all sorts of stuff to consider and remember, and if you aren’t sure that you’re up to snuff on parrot nutrition, go check out PetCoach’s page on parrot nutrition. 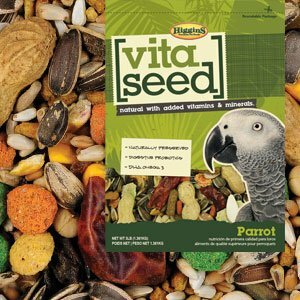 One particular brand I’m noticing has a lot of pros and good reviews on Amazon is the Higgins Vita Seed stuff, they seem to have multiple formulations for all sorts of birds! You can check them all out here! 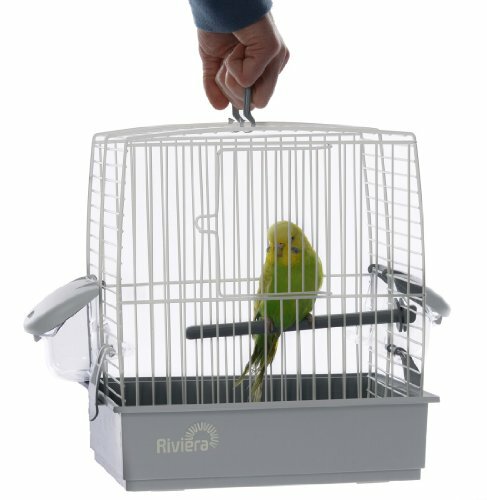 Bird travel cages make trips to the vet, or anywhere else for that matter, a breeze. 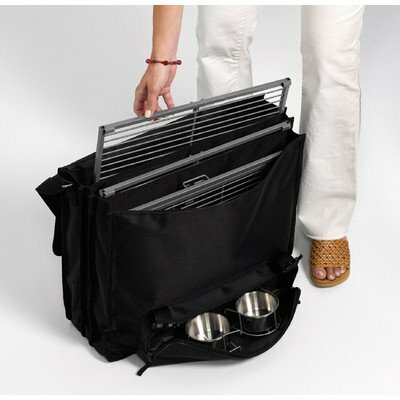 They are essential for if you have to make a trip, of any kind. 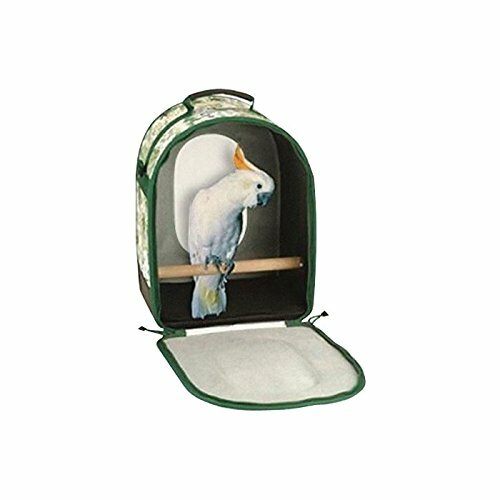 Whether going to the vet or moving across the country, you’re parrots need something safe and familiar to stay in while you go. 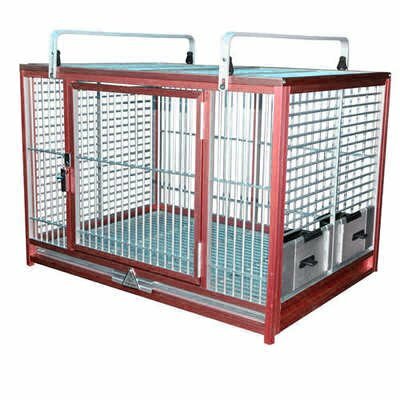 Recently we’ve been asked a lot about a macaw travel cage, and I gotta say I see why people have been having trouble finding a good one! 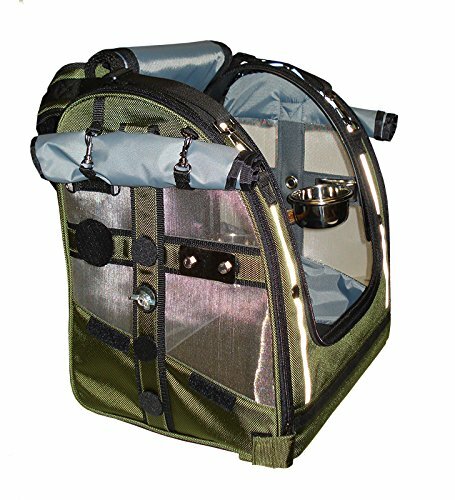 Most every macaw travel carrier that I’ve seen has been too small! Thankfully, I did manage to find at least ONE! It’s large enough, and it’s see through. 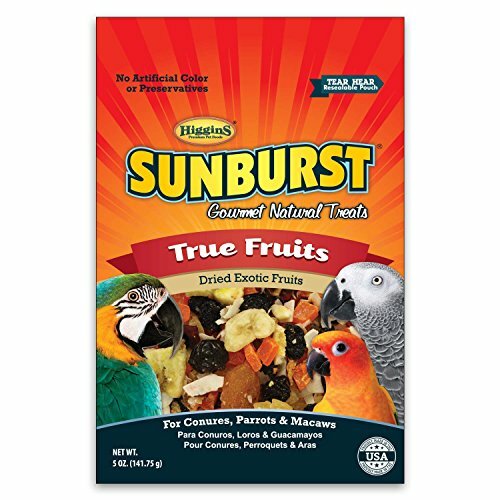 Which, admittedly I know could be problematic for some macaws out there, if they are easily overwhelmed. 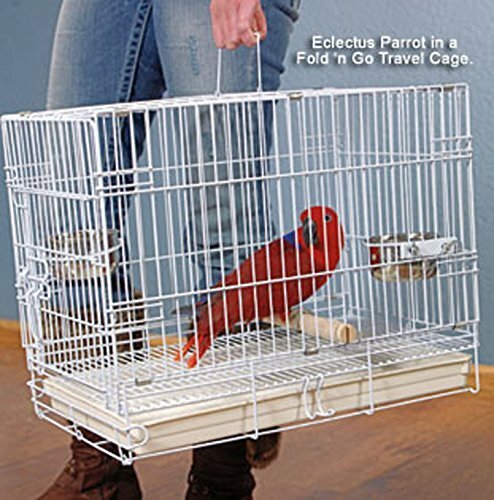 If they aren’t though and enjoy watching the world go by as you travel, this might be a good macaw travel cage for you. 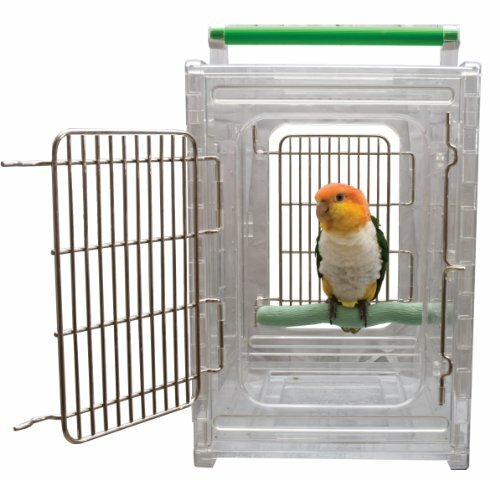 We’ve also been getting questions about the midwest poquito avian hotel, and I went and looked at it on Amazon and I have to say I don’t really have anything bad to say about it. 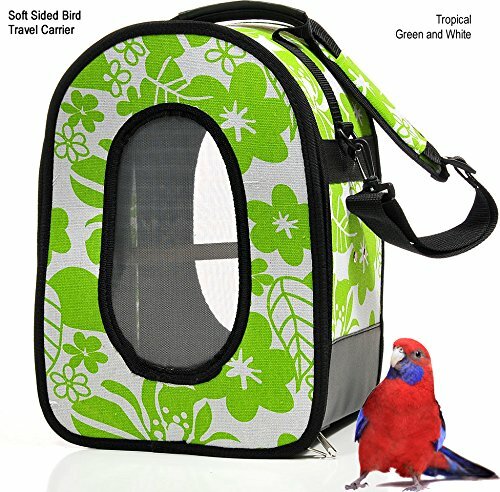 It seems like a great size for conures and African Grey’s! Go ahead and check it out for yourself. 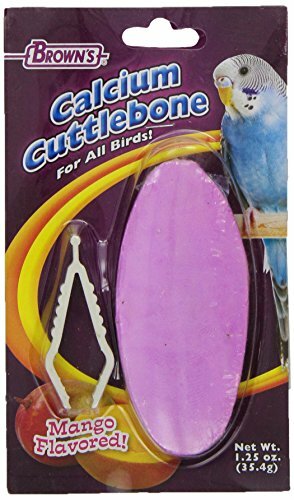 See all the bird carriers on Amazon right here. Most come with free shipping! 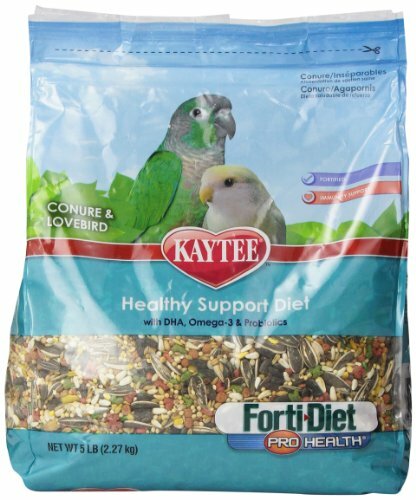 Like These Pet Bird Products? Please Do Us The Favor Of Telling Your Friends!